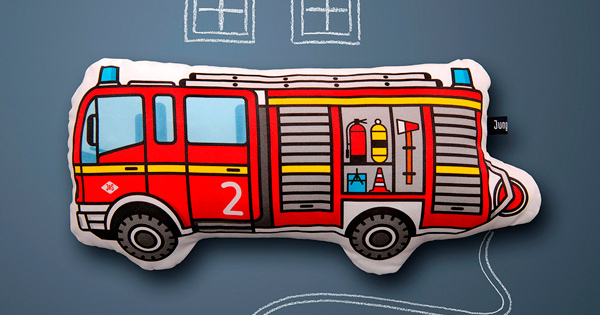 Fire engines just got huggable, thanks to this cheery fire truck pillow. It’s backed with super soft red corduroy for extra bedtime snuggles. $49 from Jungs & Soehne.